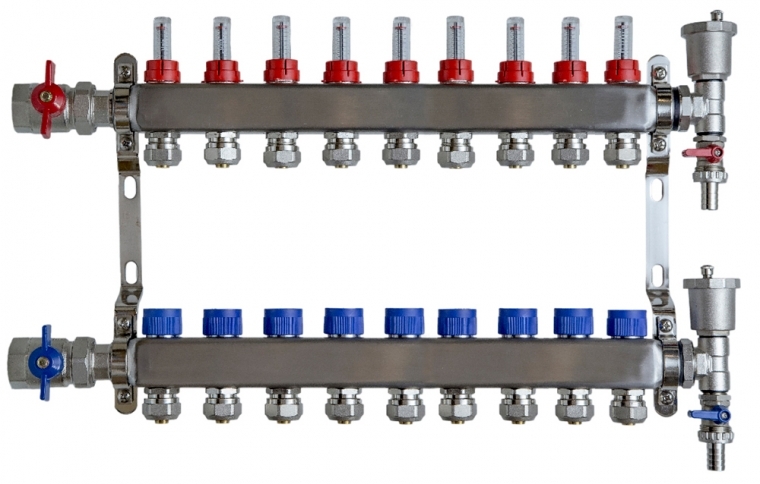 The UFH1 Standard 9 port manifold is a high quality item that provides a high quality, yet economical way to connect your underfloor heating pipes to your central heating distribution pipework. 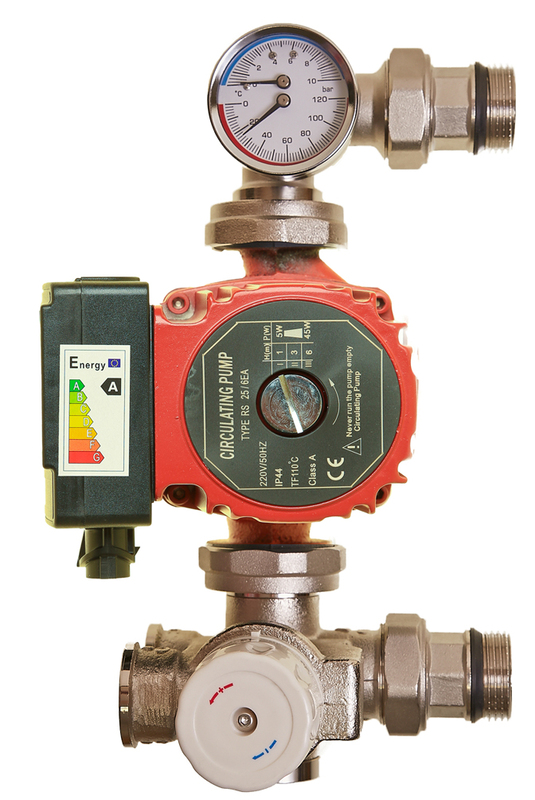 A Rated, all in one blending valve, inlet connections and pump assembly. 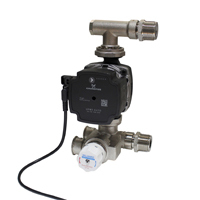 Saves the installer having individual connections between manifold/pump/blending valve etc. Compact prefabricated kit includes the thermostatic mixing valve, an ERP rated 7 metre circulating pump, and a flow manifold connection tee piece which includes 1/2" FBSP tapping.